We tend to take browsing websites for granted, but it’s not always easy for people with cognitive, visual, hearing or physical impairments. With an aging population the number of people with such disabilities is expected to grow. The effectiveness of your website would be greatly enhanced if the widest possible audience, including persons with disabilities can access it. By optimizing a website or other user interface and making the right design choices like color contrasts, button sizes and fonts, your website can be made better accessible for people with disabilities. 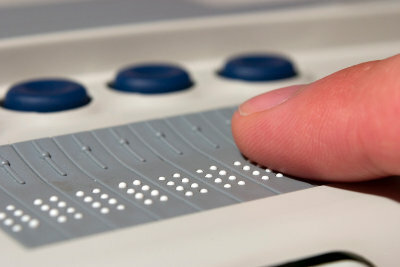 Technical enhancements can further improve accessibility with for example text-to-speech technologies and braille readers. When done well, measures taken to improve accessibility also improve user experience in general and search engine optimization. We gladly help companies with accessible web design in line with industry standard web accessibility guidelines. 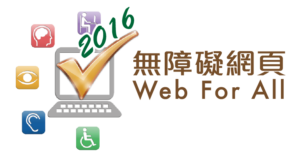 Since 2014 we have helped customers achieve awards in the Hong Kong government initiated Web Accessibility Campaign. In 2016 we have also made our own website accessible in accordance with the Gold Award guidelines. Even without this recognition scheme it’s a good thing to make your website fully accessible.